The jersey has a lovely drape to it, though it's not quite long enough for me. I wanted it to go to past my ankles, as it does in the photo. I think it would on an average heighted someone. Okay, at £725, I can't afford these. I know that. So now my mission is to find something as close to this as possible for less than £200. What do you think my odds are? 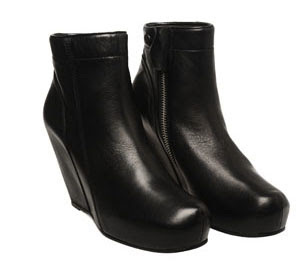 They have very similar boots in Aldo at the moment! Excellent, thanks! I'll have to pop in this weekend, especially as it's payday.